I have always been fascinated by the Victorians. They are so near,and yet so far. The victorian period was a time of exploration,invention,extreme social inequality and extraordinary change. The Ragged Schools,The Crystal Palace Exhibition,Maids of all Work,Mudlarks and Helen Keller will all have a place here,as will stories about the Queen from whom the period took its name. 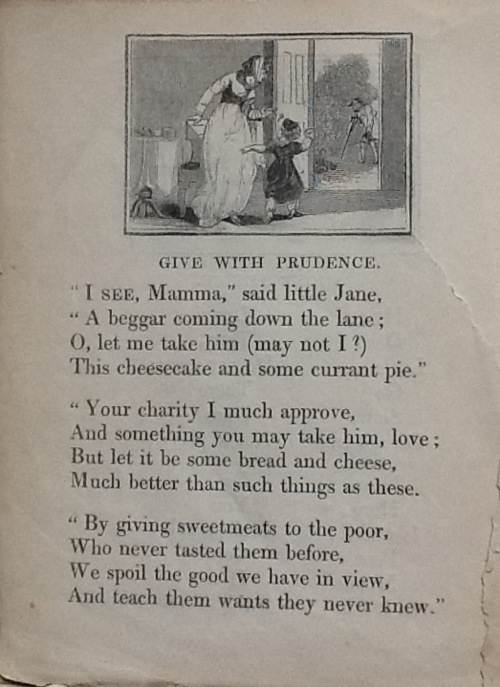 A victorian view of giving! This cheesecake and some currant pie." Much better than such things as these. And teach them wants they never knew." It is to be hoped that our view of charity has somewhat changed!